Try to attach Parallels Tools image to the Virtual machine manually. prl-tools-win.iso stands for Parallels tools image for Windows XP, Vista and 7 virtual machines..
prl-tools-mac.iso stands for Parallels tools image for Mac OS X virtual machines. 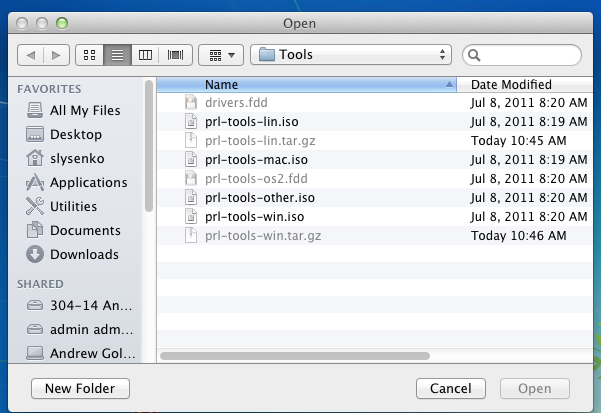 prl-tools-other.iso stands for Parallels tools image for other virtual machines. On the Virtual machine side go to Start - Computer and double-click CD/DVD drive to start Parallels Tools installation.